Have you always wanted to visit Alaska? Have you wanted to experience the Northern Lights yourself? I know I have! Well guess what? Now you can with these special tours and adventures with Farmer's Almanac! Now you can join the Almanac and renowned astronomer Bob Berman for a 6-day, 5-night Alaskan adventure to remember and watch the glorious aurora borealis light up the night sky. Going to see the Northern Lights? Go with The Old Farmer’s Almanac, the ultimate travel companion and “original calendar of the heavens” since 1792. North America’s oldest continuously published periodical—best known for its weather forecasts and astronomical information–and its astronomer Bob Berman have partnered with travel adventure company Special Interest Tours to bring the experience of a lifetime to readers and sky watchers. Now in its second year, this trip gives travellers a chance to witness the blazing and magical curtains of the Northern Lights. Behold the radiantly glowing night sky in the wilds of Alaska on this 6-day, 5-night Old Farmer’s Almanac Northern Lights Tour. 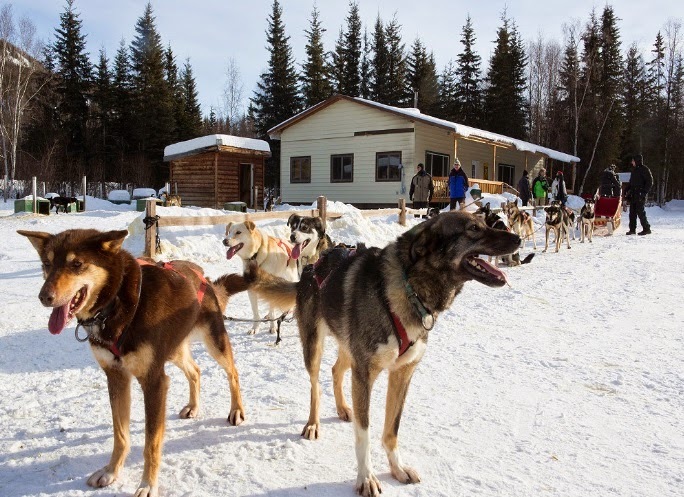 Packed with special events, breath-taking sights, fascinating people, and thrilling adventure, you’ll not only learn about those flashy flares in the sky, but also become immersed in the unique history, culture, and art that Alaska has to offer. As if viewing the aurora borealis from several of the best and most stunningly gorgeous locations in the world isn’t enough , The Old Farmer’s Almanac Northern Lights Tour has far more in store. 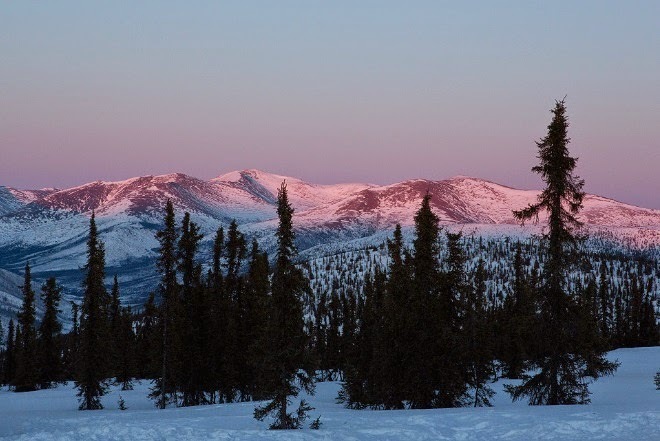 Nothing says Alaska like a dogsled ride, a hike to the top of a mountain for a beautiful sunset, a visit to the glittering ice kingdom that is the Fairbanks ice-carving show, a tour through the innovative “green” city of Chena, or a dip in the Chena Hot Springs while icicles form in your hair. So naturally, the tour includes it all! Plus, we’ll provide a photography tutorial so you can capture all the best moments on your camera. The adventure begins on March 17 th, 2015. Reservations are being taken now. Not a fan of the cold? The Old Farmer’s Almanac has more than one adventure to offer! Enjoy the sunshine and fragrant flowers of the East Coast on our Glorious Gardens Tour! This 7-day, 6-night tour begins on June 22 nd.